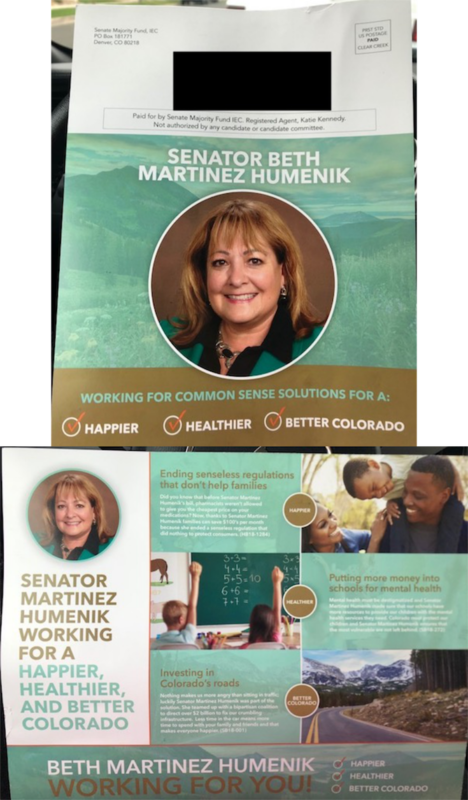 This mailer from the Senate Majority Fund touts Republican Sen. Beth Martinez Humenik's "common sense solutions," noting she's helped end regulations, increase school mental health funding and invest in state roads. Martinez Humenik faces Democratic Rep. Faith Winter in the November election.